d) The adoption of grand strategy for the Overthrow of the Dictator. e) The adoption of the policies and the creation of Necessary Institutions. f) The establishment of a leadership that is “Eritrean National Council for democratic change”. 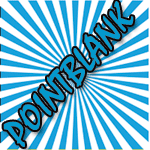 Each a major undertaking in and of itself, the attendees will tackle them all in one gathering! A certain degree of optimism seems to be driving the event therefore but the optimism is not totally unwarranted as most of the necessary legwork was done in the previous conference and thereafter. Additionally since controversial issues such as division of power (federal vs. unitary); form of government (presidential vs. parliamentary); electoral design (proportional vs. majoritarian) etc… will not be finalized in this conference (if the roadmap will be followed that is), the success of this conference is almost a cinch. Conferees can increase the chance of success even more if they participate with the right frame of mind fully anticipating and welcoming a healthy dose of disagreement. The preliminary documents mentioned above lay out broad themes in a draft form but are detailed enough to reveal a political leaning or preference that we can’t help but wonder if the conferees’ role will simply be to endorse its stipulations. I hope that is not the case and I hope issues will be debated vigorously. Constitutions in particular are such critical components of nation building with far reaching consequences for the entire country that they should be given sufficient time to evolve and mature before casting them into their final permanent form. Until then, constitutions should remain fluid and flexible though enforceable which in turn means we (the people) should also be reasonably flexible fully acknowledging that our interests and aspirations will be as diverse as the composition of our population. This does not mean that we should therefore unduly dwell upon those differences. No. It just means that we should pay heed to and respect other views that may be different from ours while at the same time taking care not to overstate our differences. Nitpicking or excessively moaning over differences is a sure way of escalating them into bigger and wider hostilities which we can ill afford at this stage in our struggle. Initially, therefore consensus should be sought by all. 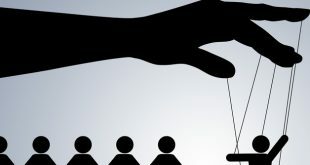 In other words, decisions should not be made robotic-like by a majority vote without first considering all views carefully and respectfully otherwise a “tyranny of the majority” will result generating anger and bitterness in those minority voices whose views were hastily disregarded. This can have unpredictable or unintended consequences down the road. The word “tyranny” used in the context of democratic parlance tends to confuse some people but it is a real danger in all democracies. Unconsciously resorted to by some, deliberately by others, it happens more often than we think even in our ordinary day to day interactions. Let us say for example that you and about five others want to set up a Skype meeting to discuss certain issues and everyone (except you) agrees to a date and time. If the others (the majority) proceed to convene the meeting without considering any mitigating factors that may have prevented you to attend and without considering alternative dates and times that all can agree to, then this majority could be said to have committed a tyranny against you in every sense of the word because they did not try to accommodate the concerns or wishes of a minority – you. It would be even more tyrannical if they didn’t provide you with a summary of what they discussed. First give yourself a pat in the back (if you are departing with good intentions) and a whack on the head, otherwise. If you are going to the conference believing that you have found the perfect solution to all our problems, please stay home. You will do more damage than good at the conference. 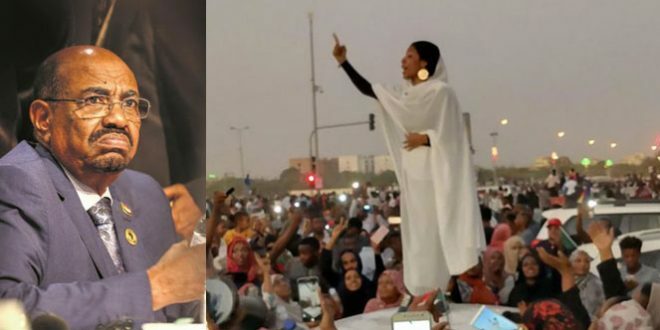 If you are still nurturing hopes of reforming the dictatorship or believe that it should have another chance to evolve into a democracy, you should definitely stay home or better yet go to Asmara where you will be welcomed. If you are going to the conference prepared to let Ethiopia dictate the terms or do all the planning and thinking for you, you should also stay home or like Professor Bereket dream of one day uniting with Ethiopia. On the other hand, if you suffer from sleepless nights because you keep hearing Ethiopia’s roar from the south (20 years after independence! ); please don’t waste your time (and those of others) by attending the conference. Watch instead Eri-TV where you can share favorite nightmares with kindred spirits. Speaking of nightmares, those who conjure up the specter of Ethiopia’s reconquest are – not surprisingly – the same set of people who whip up fear of Islam and Muslims. In this, they are helped by worldwide frenzy of Islamophobia that is spiraling out of control. Do not become a victim to global propaganda against Muslims and don’t let stereotypical caricatures of Muslims poison your relationship with your fellow compatriots. I will share my views a little more in detail at a later time but for now; remember you are hearing only one side of the story and often from highly sophisticated enemies or rivals. The weather in Addis will be warm, so leave your coat behind along with your individual and collective egoism. If you are learned, avoid showing off. If you are not, respect the learned but don’t let them jargonize you into silence. In general, the more the jargon, the less the knowledge. In discussions among specialists, it is true; terminologies are needed to explain complexities but it has no place in conferences full of non-specialists. Its use in such a setting can only be to show off or impress others not to inform or discuss. Eritreans as a whole are new to the multi-faceted concept of modern democracy because, the scholarship of Eritrean political elite had been focused on mastering the intricacies of socialist/communist political discourse. The two fronts (ELF and EPLF) both regularly trained and churned out many experts in the field. Even ordinary tegadelties could discourse learnedly on the subject. But when communism suddenly became irrelevant in the world, the value of such an expertise went down with it. Finding themselves in a quandary, our elites then scrambled to quickly acquire expertise in the new field (democracy) but found it too slippery for the knowledge to sink in. Compared to the highly structured body of knowledge that the communist knowledge-base unfolds or makes available, the erratic jumble of literature about democracy can be unsettling particularly to those not used to such writings. Our sympathies therefore go to our old politicians but our young ones are not any better either. They know the slogans, the catch-phrases, the Facebook, tweeting etc… but few have taken the time to study the subject in depth which all goes to say that Eritrea suffers from lack of qualified experts in the field to guide it into a post-Isayas Eritrea. We have plenty of copy/paste experts who scavenge various websites and then reproduce them wholesale in their articles or websites but given the right tools, my three year old son could do that. Be that as it may, the main challenge we face is not lack of knowledge for that could be acquired or assistance sought elsewhere. 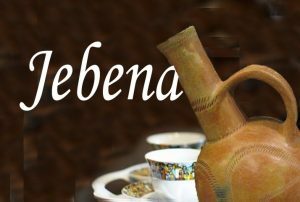 What is far more important at this juncture in our history and what will lead to a stable peaceful democracy is an in-depth knowledge of Eritrean people; their aspirations; their needs; and their culture. Striking the optimum balance that will satisfy all or most will not be easy but that is what we should shoot for. But above all, keep in mind that this conference – as significant as it is – is still a temporary affair. Nothing that happens there will be cast in stone. 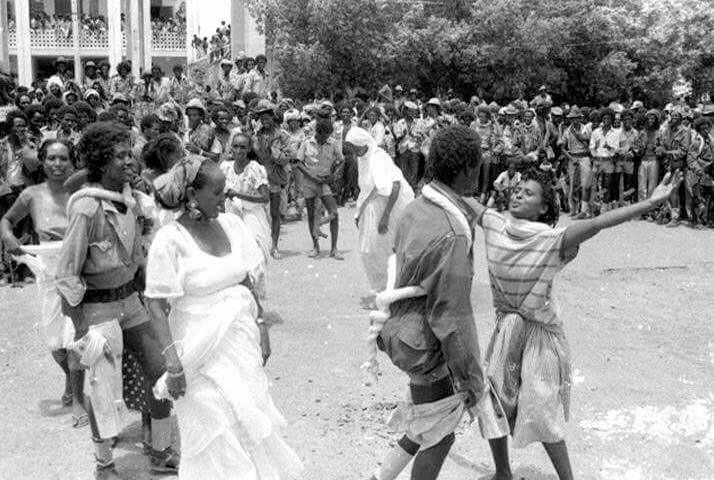 Everything that will be proposed there will be or should be revisited in a post-Isaias Eritrea and reevaluated. Ultimately, binding decisions can only be cemented after our people endorse them. Of course meanwhile, law and order should be kept hence the need for creating an interim constitution and the various democratic institutions as outlined in the excellent roadmap. So if you are after fame, influence or honor, please be patient. You will have plenty of opportunities to do so later. In this conference, concentrate all your energies and all your knowledge on the essentials, on ideas, and on how to combine forces and target all resources of the opposition to fight and remove the dictatorship once and for all! Bon voyage and good luck beloved compatriots! Eritreans must united to topple the Isyas regiem which is hated all over the worled. PFDJ must GO out, it is not the one Eritreans deserve. it is a mafia government and am sure its leaders fate is like their uncle Gadafi, humilating and it will be very soon! 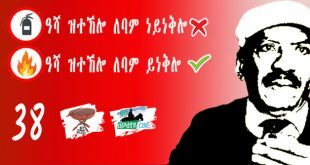 stay in your addis do not come back. don't use that name. you don't represent Warsay Yikealo and you need to prepair with your leaders and search a place. We are insdie Eritrea and everywhere. we are watching you. 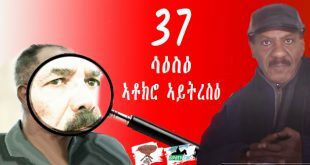 Abdulhafiz Said – Is that what Meles promised? keep on dreaming! Yeah, Ismail, we think you rushed a bit to judge Dr. Bereket. “If the African Union could mobilize enough energy and will to push this process of regional reunification, in the view [with the view?] of launching pad for a future African Union [he means like the European Union], I think it would be the way to go. Realistically speaking, I don’t see any other way. This is no different than what all Africa’s greatest thinkers and dreamers including Marcus Garvey, W.E.B DuBois, Kwame Nkrumah, Fela Kuti, Malcolm X, Steve Biko, Patrice Lumumba, Bob Marley have articulate: he wants a united Africa. The faux outrage of opportunistic Higefites, whose hero Isaias Afwerki was on the cover of the magazine called “And Ethiopia” (One Ethiopia) and was flirting with Kinjit (the organization that doesn’t believe in Eritrean independence). 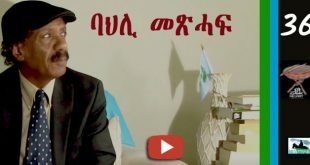 They posted a video, with the title: Dr. Bereket Habteselasse Wants To See Eritrea And Ethiopia United Before His Death. 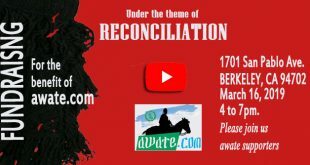 Dr. Bereket was at a book-signing party, and the narrator (interviewer? can’t tell because she is off camera) asks the questions in French and the narration in French. Now, one could say Dr. Bereket should have been “careful” with his words and should have known how the opportunists would twist them. But why should he, or us, play by their rules? And at what age are people allowed to speak freely without fear of being quoted out of context? …It seems I have been guilty of a slight discretion here…… just kidding guys! Yes, I was wrong! After listening to the entire piece, I coud find absolutely nothing to disagree with. On the contrary, Bereket’s comments were beautiful, noble, and profound! 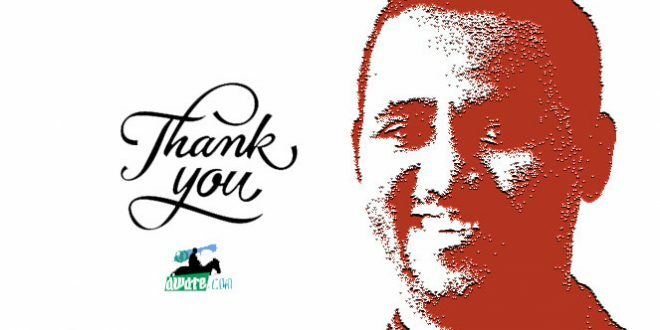 My apologies to Bereket, to the person who emailed me privately, and to all our readers! Please consider my comments retracted. awate you are fanatic .you the failer because in eritrea nuslem and beher in eritrea they are respect. what is in etiopia muslems specialy in tigray they do not have rights. you and your commision you will ever never inter to eritrea. come with your weyane and meles . eritrean people they are waiting for and your grave . Helen, forget about weyane. Weyane has gone to much a head. Don’t ever compare it with your ignorant group PFDJ. Don’t even think PFDJ will stand in front of Weyane. Awate? awate is struggling to save Eritrea. They are saving your life. Do you like to fight with your mother? It is the same Awate is like mother thinking about reconciliation. You can imagine without the wisdom of those great men what will happen in Eritrea. The war could have started earlier between us. Instead support Awate and destroy your enemy PFDJ. this is the advice for you. Mr Omer, Well written article and well articulated view point. You call for consensus but exclude members of the PFDJ, who disagree with the ruling elite but believe in the ability of the PFDJ as a party to transform as shown by the G15 stands, from the attending the conference if they wish to do that? You talk about “good intention or otherwise” what is your definition of “good intention”? are you trying to say that when EDA formed the so called national conference preparatory committee they obtained consensus and that the after the conference because of good intention the “commission” obtained legitimacy?!! Ethiopians rule in formulating the opposition agenda is not to be taken lightly as fairy tell nightmare it is a real one! I think we need reality check up! Greate advice for those who can read and understand. Tigrigna and Arabic so that every conference attendat knows his/her role. Ismael , it is the first time that Eritreans from different organizations sit face to face to discuss national issues , it is a new and positive mind-set that could usher us to real reconciliation , contrary to what shaebia is doing with its hade libbi hadi hizbi hollow slogan. thanks Ismael and please keep it up. ‘ there are also many who believe to know every thing, delimit this behaviour. finally I wish you full success and less negative surprise! 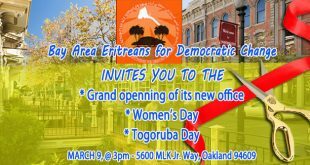 Eritrean people with PFDJ are building their country toward strong and real democracy. Why are you going to Addis Ababa to be used by Meles against your own people's interest. Eritrea is in good hands with current Government for now. 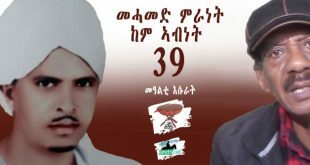 Eritrean people are requesting Meles Zenawi to abide by rule of law to implement the final and binding decision. The fleeing youths are in safe hands that’s why flee! what a logic! the alone left old parents are also in safe hands, is it? Then who benefited most from the border conflict meles or issayas? of course he kept them -youth half dug inthe barrack. ente arbaEte egrikin tsibaH nir'ekin….. men Hizka? niTfi'at entezeykonkum eti niAmetata b Meles tetHizu zelo mertiena kmiles zytiHatu qumneger entlekum. If he did single out Ethiopia however without mentioning other countries in the region, it triggers a legitimate question: why Ethiopia? Why not Sudan or Djibouti or even East Africa? If the rationale is that some Eritreans have cultural affinity with Ethiopians, then the same can be said of some Eritreans along the border with Sudan for example. I hope my article and these comments will encourage Bereket to elaborate more. Thank you for all the excellent advice and your good wishes for the success of the National Congress. I wish you didn’t include that side-kick to Dr. Bereket. It was too much below the belt and unnecessary at this time.